How can I find more books like the ones I already enjoy or need? 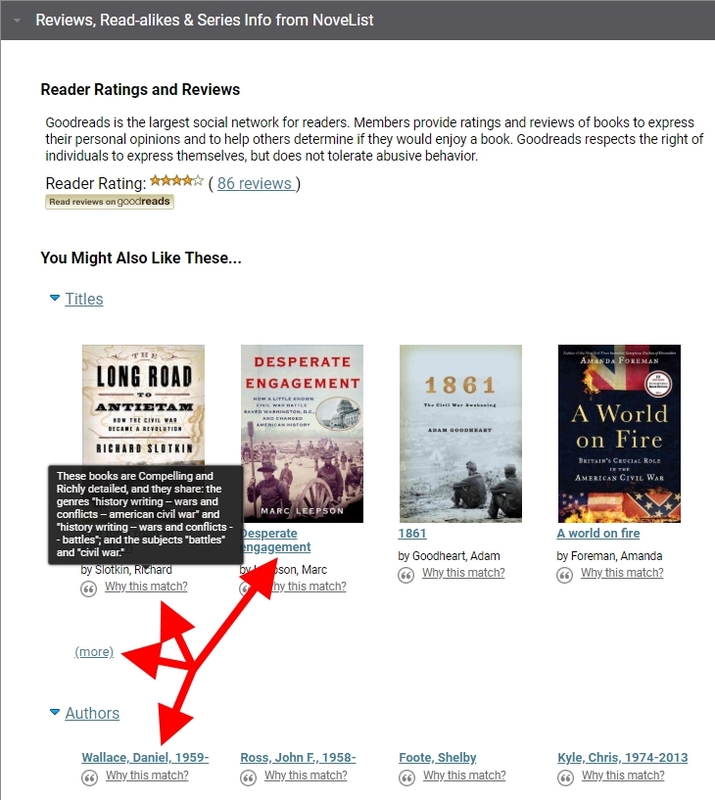 You can use our catalog to look up a book you've enjoyed before and either click on a subject link from within the record, or look at the Read-alikes section toward the bottom of the item record display. See the instructions below. Note: the Reviews, Read-Alikes & Series from NoveList option applies to print books only. You can use our NoveList eResource to search, browse, or combine appeals to find something you might also enjoy, then click the links to our catalog to see if we own copies and in which format(s). You can also fill out our Personalized Reading Suggestions form and tell us about books and authors you enjoy and what appeals to you about them. Within a few days we'll email you a list of three to five reading suggestions chosen just for you. 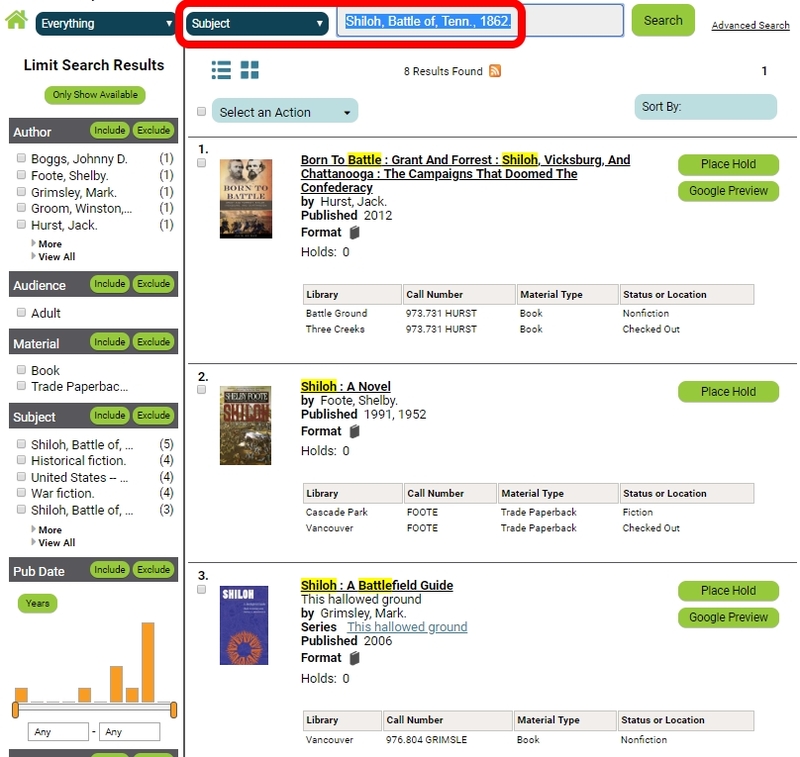 Starting from www.fvrl.org or the library catalog, search for a title, author, or topic of interest, and refine your search results as necessary. Scan the list of results and click on the title of one that seems like what you're seeking. 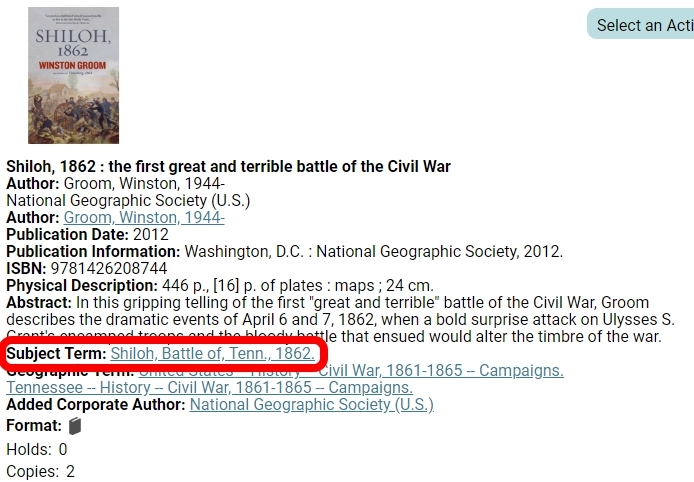 Click on a subject term link to do a new search and get a new list of titles on your chosen topic. Note: this works well for nonfiction topics. 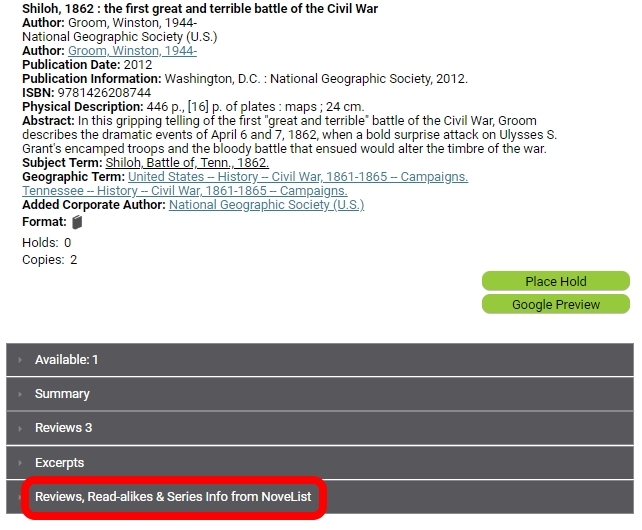 Scan the new list of titles, based on the subject search, to find additional titles of interest to you. OR (for print-format books), click on Reviews, Read-alikes, & Series Info from NoveList to see similar genre, style, or series. Note: this works well for fiction titles. Review the suggested books & authors. Hover over or click Why this match? to see how they are alike. Click on links to see more information, suggestions, or item details in the catalog.